What do the above three photos have in common? Yes, they are all characters from the 1980’s prime time soap, “Dynasty,” but there’s more to them than that. Before I give my point and the subject of today’s blog away, I need to come clean and admit that I’ve recently discovered reruns of the Denver-based saga and I occasionally watch them. 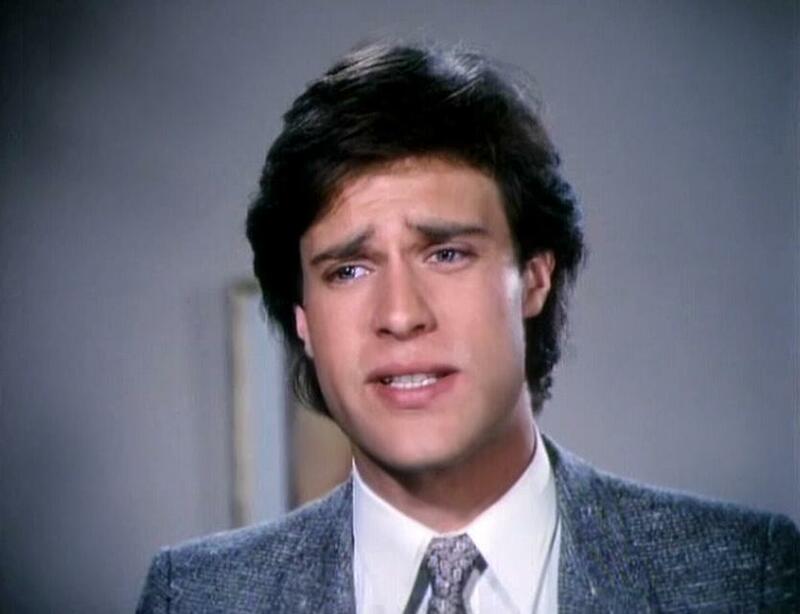 That’s when it occurred to me: the show, known for big money and big shoulder pads, was also full of bad eyebrows! I remember thinking this back then and watching the show today made me think it all over. 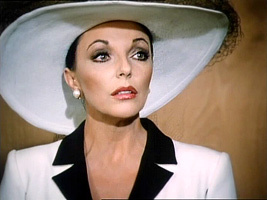 As glamorous as she was and still is, it always bothered me that the inside ends of Joan Collins’ brows started inside those of her eyes rather than even with them. As for John James, his made me crazy the way they curl up in the middle. 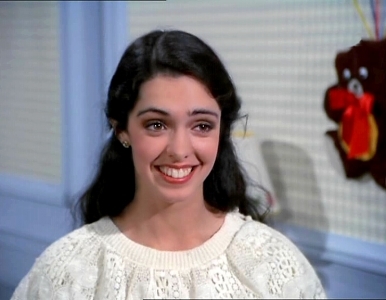 Then there’s Kathleen Beller, who played Kirby. Her brows had potential but always seemed a bit ungroomed. And it wasn’t the 1980’s fault. 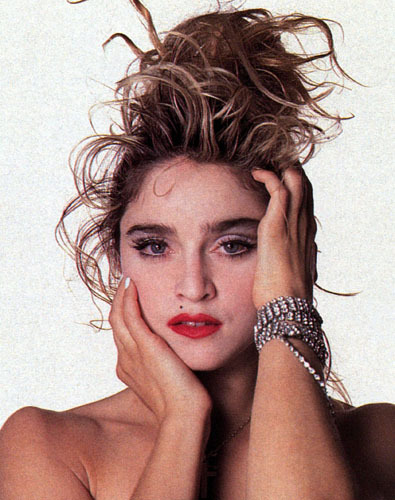 Can you say Brooke Shields and Madonna? 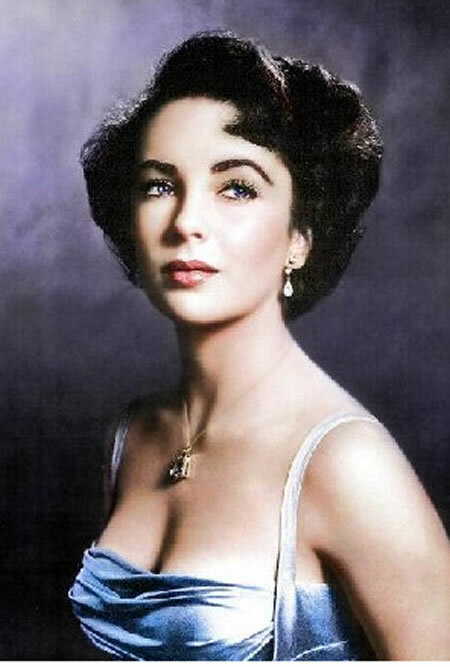 If it’s classic beauties you prefer, consider none other than Audrey and Liz. 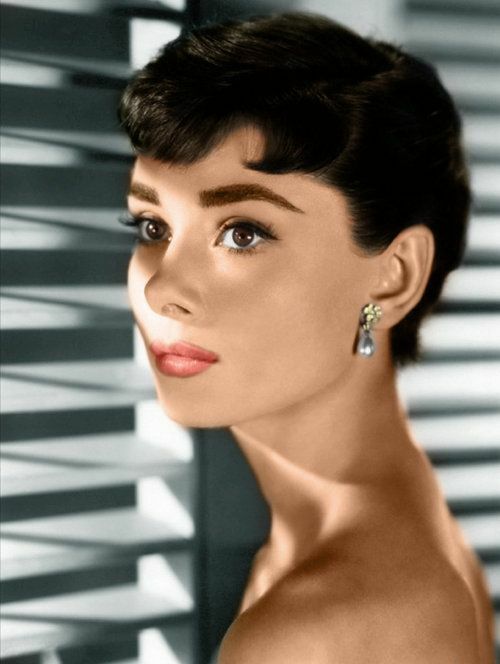 Imagine, if you can, Audrey or Brooke without those signature brows. So critical are a person’s eyebrows that it’s rumored John Kerry had his “drooping” brows surgically worked on during his 2004 presidential run. 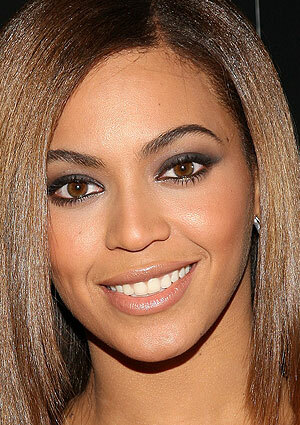 A well-shaped and well-groomed brow opens up your eye area and gives a sense of confidence and strength. 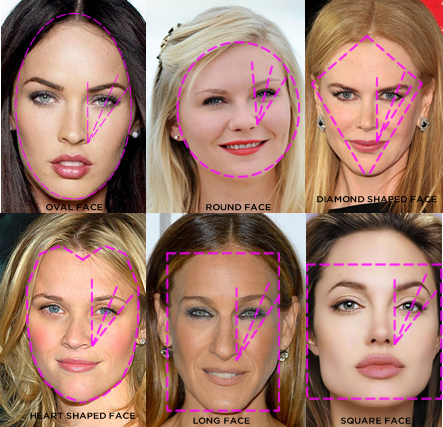 They are important to one’s appearance and image yet they are often neglected or misshaped. 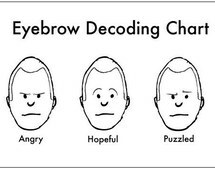 You can tell how a person is feeling or maybe even what he or she is thinking just by looking at their eyebrows. Sadly, I don’t have what I consider “good” eyebrows. Mine are too thin and not arched enough for my taste. But, my daughter was blessed with fabulous brows. Lucky her! The inside edge aligns with the inside corner of the eye and the outer rim of the nostril. The arch is angled up from the outer rim of the nostril and the middle of your upper lip’s bow. 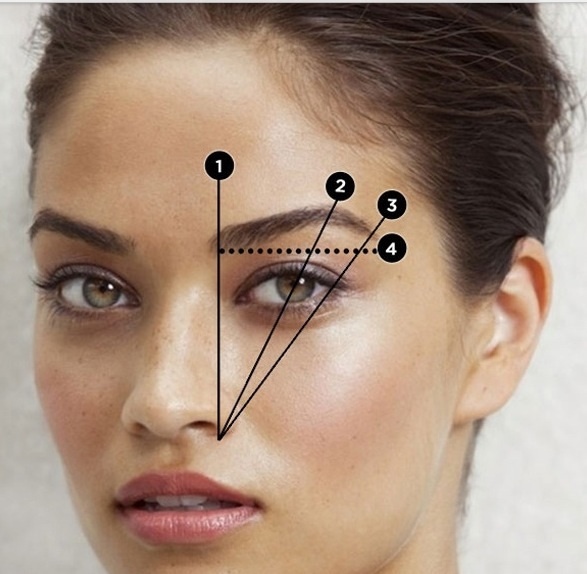 The outer edge of the eyebrow aligns with the outer corner of the eye. It’s what the stars do regardless of what shape their face is or how full their brows are, and it works! 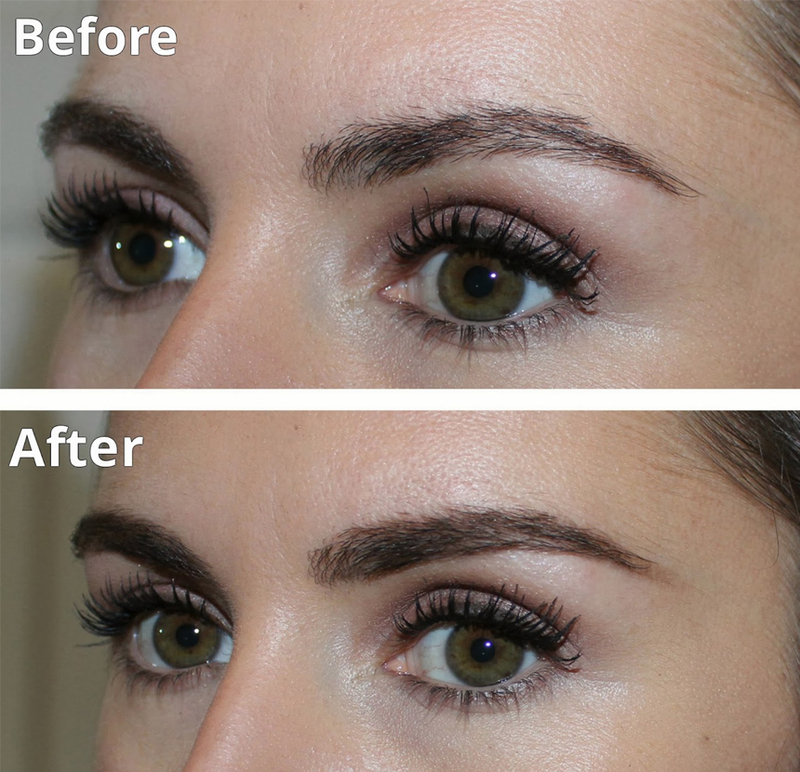 To achieve brow perfection, it’s also important to work with the natural shape of your eyebrows. If you can, have a professional shape them. Once you do, it’s easier to maintain them on your own at home. Just make sure you only tweeze the strays and don’t mess with the shape or thin them out too much. Like me though, not everyone is born with fantastic full eyebrows. 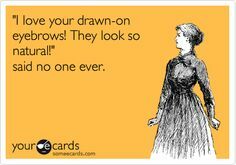 Regardless, never try to make them something they’re not by “drawing” them on and keep in mind that no two eyebrows are the same so yours will never totally match. 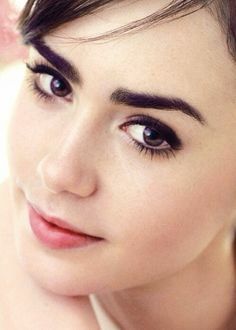 Big bold brows are what most women strive for but if they are too bold and too thick, they will look messy and will overpower those beautiful eyes of yours. 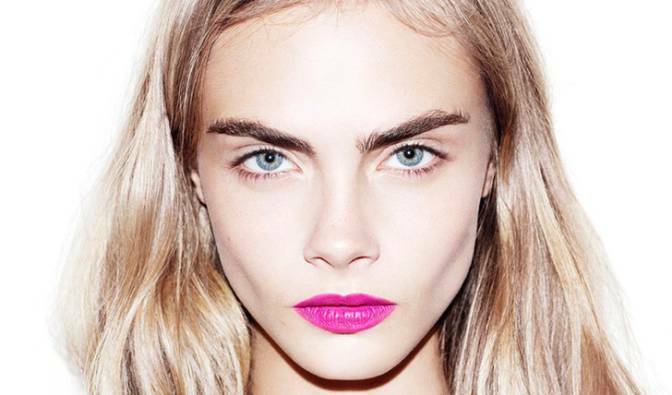 Too thin of brows will give you a harsher expression but require the same amount of attention as fuller ones. Your goal is to have eyebrows somewhere in between the two. Once you’ve achieved your desire shape, don’t be afraid to fill them in with brow make-up or by using an eyebrow pencil. What a difference, right? When filling in your brows however, avoid overdoing them. Instead of drawing them on from tip to end in one long stroke, use short, hair-like strokes and focus on sparse areas of the brow. You want to look finished, not clown-like. For a natural look, choose a color close to your brows’ normal shade but for a bolder look, use one that is a shade darker. Finally, there’s always the option of permanent or semi-permanent eyebrow dying if you so choose. For many, this may seem like a tedious and insipid subject to write about, much less read about. But mark my written words, I bet you’re going to go look at your eyebrows now and will start noticing those of others!